"Our research provides quantitative evidence of what activists have been saying for years: The housing crisis is contributing to the re-segregation of the Bay Area," says Miriam Zuk, director of the Urban Displacement Project. For example, the reports found that low-income black households became increasingly likely to live in high-poverty, segregated neighborhoods between 2000 and 2015. In 2015, 65 percent of San Francisco's low-income black households lived in high-poverty, segregated neighborhoods—a substantially higher rate than low-income groups of other races. Low-income families living in these types of neighborhoods typically face greater barriers to economic mobility and are more likely to suffer adverse health outcomes. "These reports provide clear evidence that low-income people of color in the Bay Area suffer the most as housing prices rise and displacement pushes them into higher-poverty, lower-resource neighborhoods where the odds are stacked against them," says Matt Schwartz, president and CEO of the California Housing Partnership. "We can and must do better." 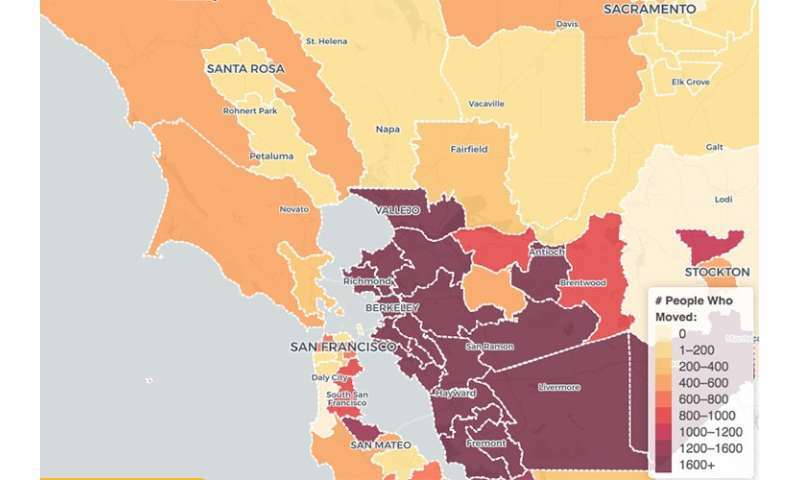 "As these reports highlight, the housing crisis continues to hit low-income residents of color particularly hard, forcing residents out of their homes and contributing to the resegregation of the Bay Area," said Fred Blackwell, CEO of the San Francisco Foundation. "We cannot make meaningful progress toward inclusive prosperity in the region without addressing the housing crisis."